WOW! Can I just say that and call the review done? No, I didn't think so either but WOW. I loved this book. 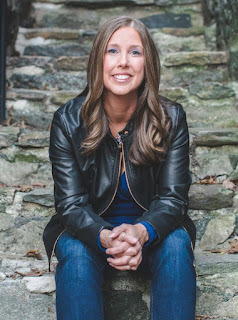 It is the perfect bridge leading us from the Hard Ink series and into Laura Kaye's upcoming series Raven Riders. It is also VERY swoon worthy. Ike, dude I didn't know you had all that in you but I am so glad to have found out. Jessica Jakes is scared, her friends are being attacked and now she's being hunted, after a terrifying break in at her house she calls on the one person she knows that can help her, Ike. Problem is she wants him for more than just protection. She wants him to be her everything. Ike Young has kept Jess at arms length. He knows she sees more in him than just a friend, but he's still living with the loss of his first love and the guilt that followed. He can't be what she wants, he can't be more than someone that will keep her safe for a time. So rushing her away on the back of his motorcycle to his secluded cabin outside of the city may not have been his best plan, but he's determined to keep her strictly in the friend-zone. As we all know, the best laid plans don't always work out...Thank Goodness! I loved these two together. Jess is a strong female character who pulls no punches when it comes to how she chooses to live her life and she isn't going to let anyone make her feel less for her choices. She carries enough guilt on her own, she doesn't need other people adding to it. In that way she and Ike are very much alike. They both struggle with the guilt of issues from their past, but they are living their now on their own terms, except for when it comes to each other. It is clear from the beginning that both characters know even if they don't want to admit it, they love one another but are just afraid to accept that love. They are both scarred emotionally, they have both lost and the fear of loosing again keeps them from accepting the love that is right in front of them. But, when they do.....it is everything. The tension and chemistry between these two is off the charts and when they come together, GAH. This is one steamy read. If you have been reading the Hard Ink series up to this point you know that Laura can write a swoon worthy steamy scene...but those, they don't have anything on this. This is grittier and 'dirtier' than any of those scenes from Hard Ink. They are all fantastic, no doubt, but this book takes it to a different level and it's a level I think we are all going to like, haha. Another thing I loved is that while this book definitely feels separate from the Hard Ink series, it is still tied in. While Jess and Ike aren't with the rest of the Hard Ink crew they are being kept abreast of the situation through phone calls and texts. You could read this as a standalone, but those little moments when you are getting info from back in Baltimore might seem a bit confusing to you. For those that have read the entire series, these are updates you already know as the time lines coincide. 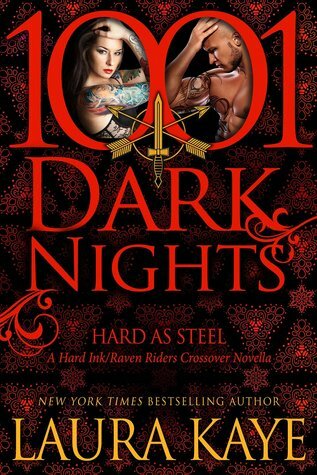 Fans of Hard Ink will find this a most read, fans of Contemporary Romance and/or MC based books will definitely want to pick this one up.